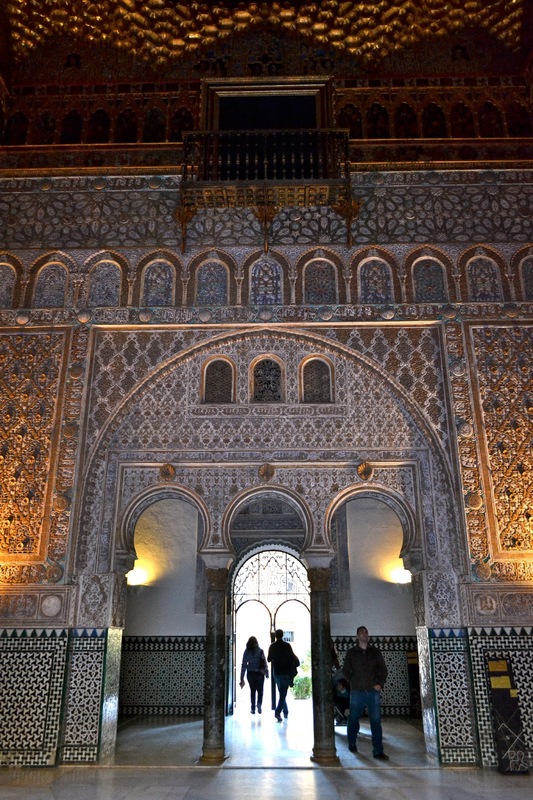 We passed through the Alcazar several times on our way to dine and to explore Seville. The Alcazar was not on our top three list, but once we visited, I was convinced that this is one of the most impressive monuments of Seville. We had to go back the second time...this time longer. 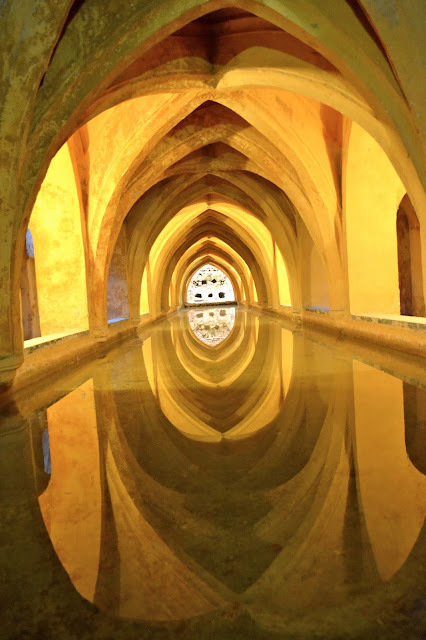 The Real Alcazar is a royal palace in Seville and was originally a Moorish fort. According to the guide booklet, it is the oldest royal palace still in use in Europe, and it was registered in 1987 by UNESCO as a World Heritage Site. 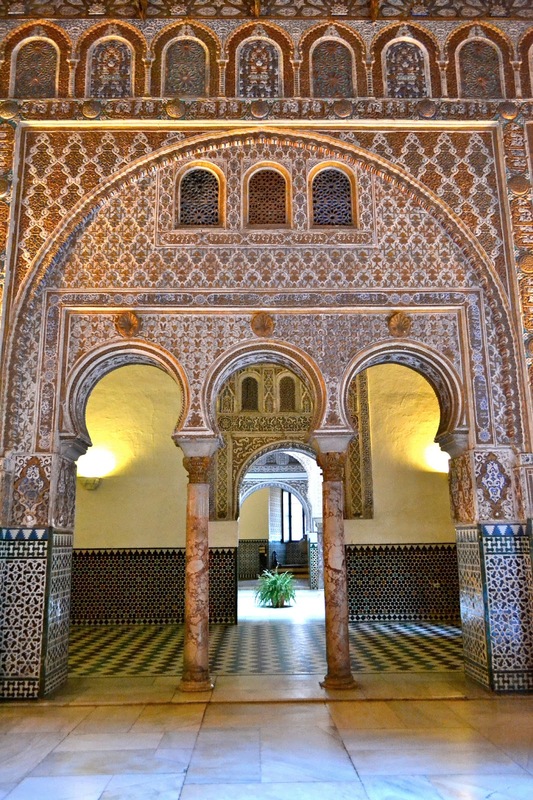 Façade of the Peter of Castile's Palace in the Alcázar. - visiting this place would take at least two to four hours especially if you're like me and you love to take photos. 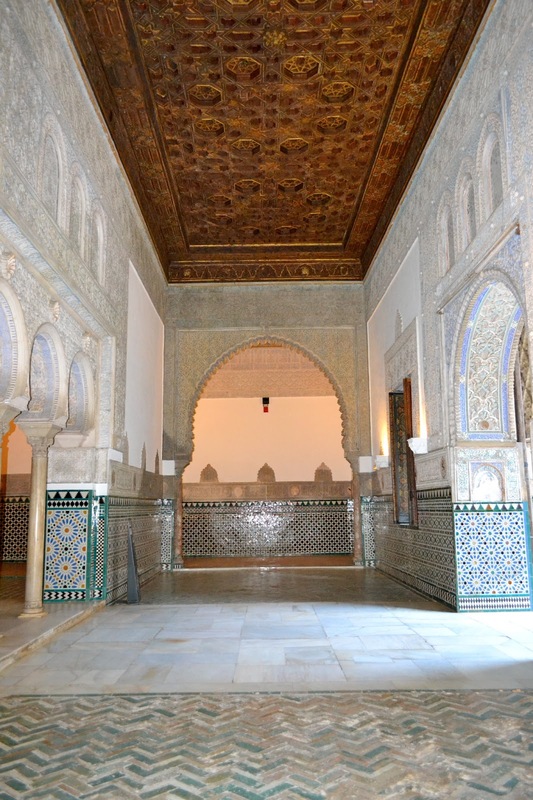 This is located at the Hall of Ambassadors and the centerpiece of the Royal Palaces. This majestic dome is made of gilded wood. It was formerly called the Middle Orange Hall because of the gold- or orange-like dome. Exploring the palace felt surreal. The mudéjar architecture is stunning and impressive wherever you look. 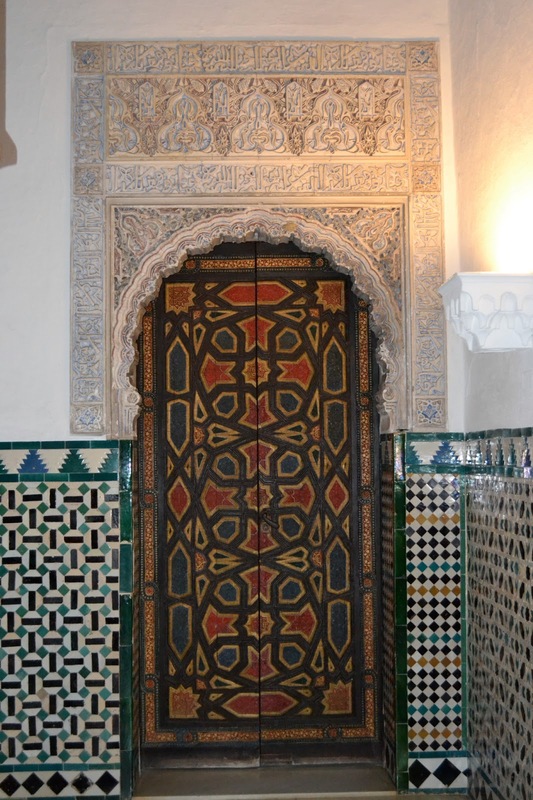 The doors in the palace are well designed and invokes mysticism and curiosity what's on the other side. 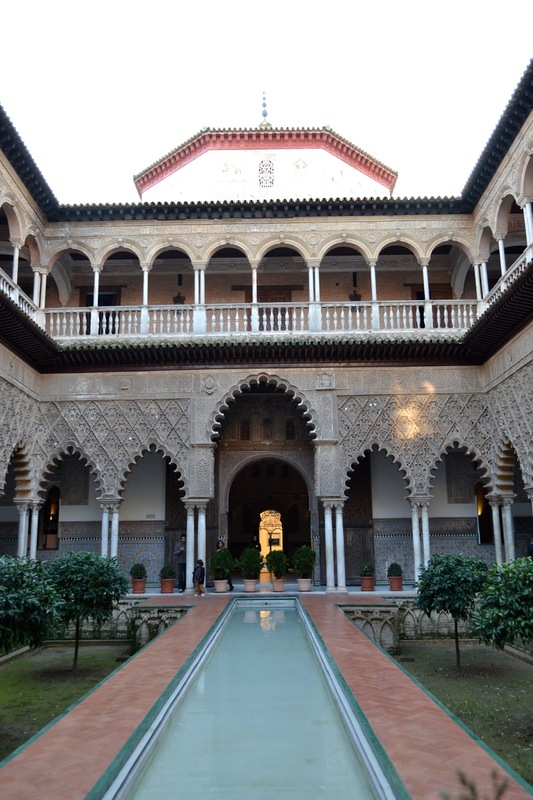 The Courtyard of the Maidens - this place speaks of a legend that the Moors demanded 100 virgins every year as tribute from Christian kingdoms in Iberia. Los Baños de Doña María de Padilla - rainwater tanks. One of the walls at Alcazar. 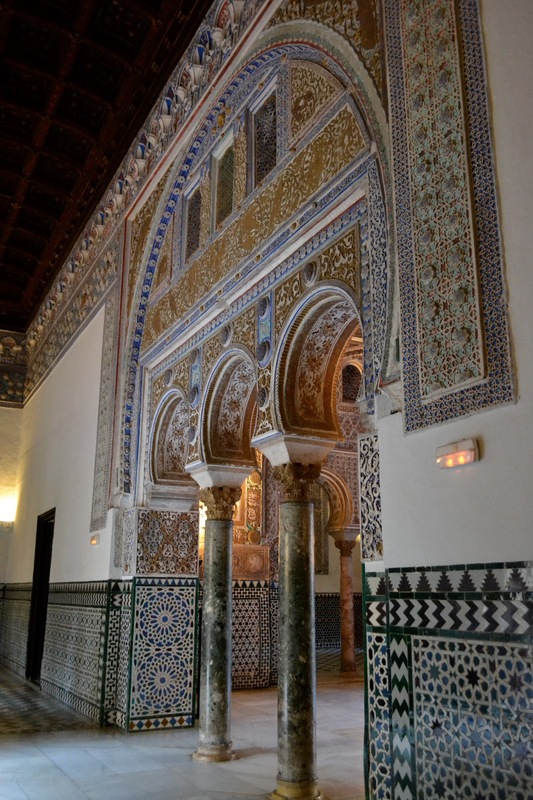 So if you find yourself in Seville one of these days, I highly recommend visiting the Alcazar. Spend three to five hours exploring the palace and the gardens. Maybe you'll be able to take a photo of the Peacock that eluded my camera. What an impressive place. it is beautiful. Yes, this place was so beautiful. We had to go back for the second time. The Moorish architecture is very prominent if you didn't mention its location, I would have thought it was in Turkey. Quite amazing! I agree. When we were there, we felt like we were in Turkey or the Middle East except that we could hear the church bells ringing every hour...lol. wow!!! spectacular photos as always. Hi there! Glad to hear from you. Thank you for visiting. I especially like the tile detailing in many Moorish architecture. Incredible place to visit. Was there an entrance fee? Yes, it's 8.50 Euros per person. I highly recommend this place. such a grand place. interesting history, too, especially that of the court of maiden. i missed reading your blog, kayni! Awesome..I'm curious on the rainwater tanks haha.